Planet Hollywood’s opening is right around the corner and there’s a lot that we still don’t know about the new version of the restaurant. 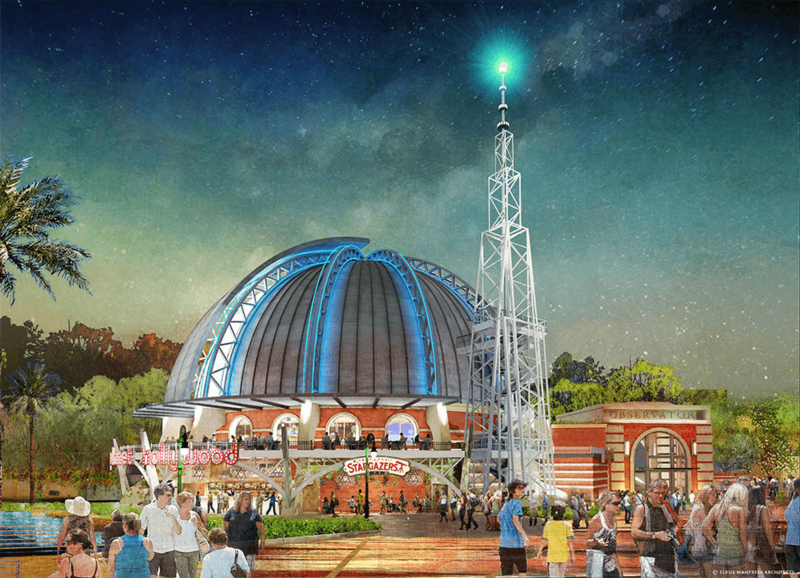 Besides a Guy Fieri inspired menu we know that the Stargazer Lounge will be situated on a patio high above Disney Springs. We now have an idea on what kinds of drinks you’ll be sipping. The two drinks revealed so far are both fizzy thanks to Prosecco. Although these selections don’t show the range of items on the drink menu, it’s good to see it’s not just your typical Disney cocktails. Stoli vodka, Limoncino Bottega, Monin Peach Tea and a touch of bubbles from Maschio Prosecco. Prosecco, sparkling water, fresh lime juice and mint leaves. The theme of the lounge is based around space travel so there’s a lot to work with as far as names and the interior design. Disney’s press release states “more famous movie memorabilia” as something we should expect. Most likely this will make its way into the Stargazer Lounge as well. Hopefully it is indeed new memorabilia. The old Planet Hollywood looked like a tornado went through a superglue factory and prop warehouse from the early 90’s at the same time. Who knows? Maybe there’s enough different inside that you’ll forget how bad Planet Hollywood’s food was. Let’s cheer on Guy Fieri because he may be the only hope this dome has beyond drinking yourself silly. On the surface Stargazer Lounge seems like a great fit for Disney Springs. I can’t help but to think that a space themed lounge outside of Planet Hollywood would do a little better. Maybe it’s just because Planet Hollywood has really was that terrible. Mostly due to their lackluster menu and relying on the fact there were a lot less restaurants during the Downtown Disney days.